You must make reservations at least 5 minutes in advance of the time at Level Restaurant and Bar. 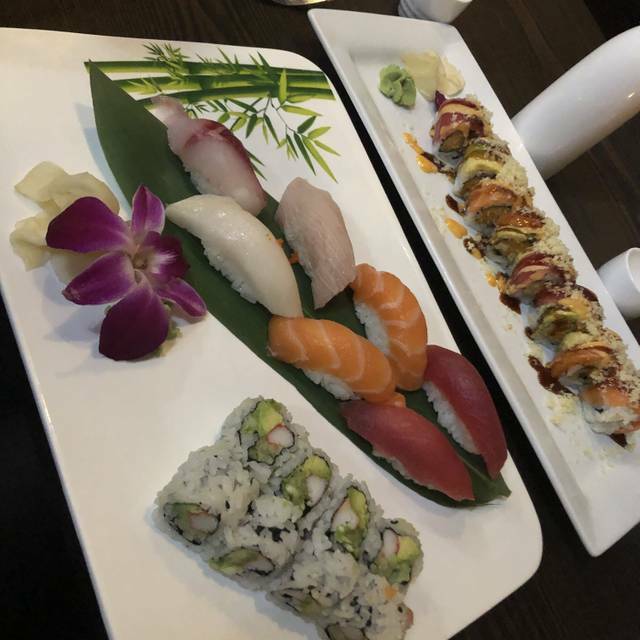 Level Restaurant & Bar offers delicious dining and takeout to Richmond, VA. Level Restaurant & Bar is a cornerstone in the Richmond community and has been recognized for its outstanding Sushi cuisine, excellent service and friendly staff. Our Sushi restaurant is known for its modern interpretation of classic dishes and its insistence on only using high quality fresh ingredients. Nice atmosphere with extremely good sushi. Great happy hour as well! Will definitely be back! Great food. Will be back. We thoroughly enjoyed everything we ordered, from the duck bao to the specialty sushi rolls. Some of the best sushi we’ve had in quite a while. We will be back. We had Dynamite roll, Mango Madness, and something Love that had fried tempura eel inside the roll. All delicious and easy to eat. Never been before. Definitely favors the sushi crowd but had a great meal and drinks regardless. Will probably be back! This is only the 2nd time I have used OpenTable. We arrived on time and waited almost 20 min. for our table. Our server was very impatient wanted our order before we even had drinks. Our dinner was excellent! I thought using OpenTable would of helped getting a table, but no. We have eaten many a dinner here and will go back. Just know you WILL wait, and don't bother with reservations. GREAT EXPERIENCE. Third time going and it just keeps getting better (we were worried after last two). Food is awesome (sticked with apps, sushi, and sashimi) and you can't beat the happy hour. Only crazy thing is they only have one bartender for the whole restaurant and bar during Saturday happy hour. No barbacks, nada. It's not a small bar either. I swore someone must have called out but nope, we asked and that's how they do it. Definitely was backed up there for a while, waiting to order, for drinks, and to place food orders...bartender was clearly in the weeds. But after he caught up and happy hour ended things were great . It was our first time and we enjoyed it. Love the food and fun ambiance. The Love Boat is a great value and the presentation is very festive. The service was slow the night we were there, but will try again. Sushi was outstanding as were the speciality drinks and the attitude and customer focused service from our waiter. We will be back! Level continues to surprise me with beautifully plated, carefully prepared, and deliciously fresh sushi and sashimi. What a treasure. I hope they will stop using plastic straws soon. Sushi is good. Off street parking is great! It took a while for a server to arrive to take our drink order, but from that point forward, the service was outstanding and attentive. Food was plated beautifully and delicious. Easily the best sushi spot in RVA. We had the love boat. It was the most sushi and sashimi I've ever eaten. A good experience besides the self-inflicted wasabi fire in my nose. This time it was 3 different tunas salmon and red clam. I found Level on Open Table while looking for somewhere new to eat in Richmond. We read the great reviews and off we went! We got there a little bit earlier than our reservation. We walked in and the lady didn’t say anything, she just pointed to a seat and told us to sit. I tried to tell her that we had an Open Table reservation but to disregard since we got sat earlier. She interrupted me before I could even finish my sentence and walked off. Not a great way to start off the evening. However, when we were introduced to our waitress (someone that wasn’t the rude lady who initially greeted us), faith was restored. We told her that this was the first time we’d been there and she made us feel so welcome. She recommended what appetizers and sushi rolls we should try and she was just accommodating and amazing overall. We did order drinks and let me tell you, you definitely get the bang for your buck! They do NOT skimp on the alcohol there. If you’re a lightweight, plan on having a DD. The food was delicious! I loved the portion sizes as they weren’t small like some of the upscale places around town but they also weren’t overwhelmingly large like you would get at your typical Asian restaurant. Everything we had was hot, cooked perfectly and was just great! We will definitely be back and plan on introducing friends and family to this hidden gem. Hopefully the hostess changes her tude by then! The sushi chef at Level continues to surprise me with his creations. The soft shell crab roll was particularly delicious. Each plate is beautifully composed... almost a shame to wreck it by eating its contents but I never hesitate. Made a reservation through opentable. When we got there we were standing around for 15 minutes because they didn’t receive our reservation. We were eventually shown upstairs and sat at a small bar table. Food was too weird and not very tasty. Another solid meal at Level. We always enjoy our dinners at Level and this night was no exception. Great food, great service, and good fun. Will be back! The food was delicious! The service was great, a little slow to get our food , but it was worth the wait!! Definitely will be back and recommend to my friends!! Great neighborhood gem with fantastic selection of sushi. Friendly, prompt and attentive service too. Much nicer on the inside than what the outside would have you believe. Spacious with a good size full bar offering about 25-30 beer on tap. The decor and furniture was very nice giving the place a classy look that We certainly were not expecting. While the menu offered a lot, we only ordered the sashimi, which was decent selection and very tasty. We would definitely visit again but preferably during their happy hour which also offered a nice variety of both food and drinks. Service and food never disappoints at Level. I love eating sushi there! Do not judge this book by the cover. 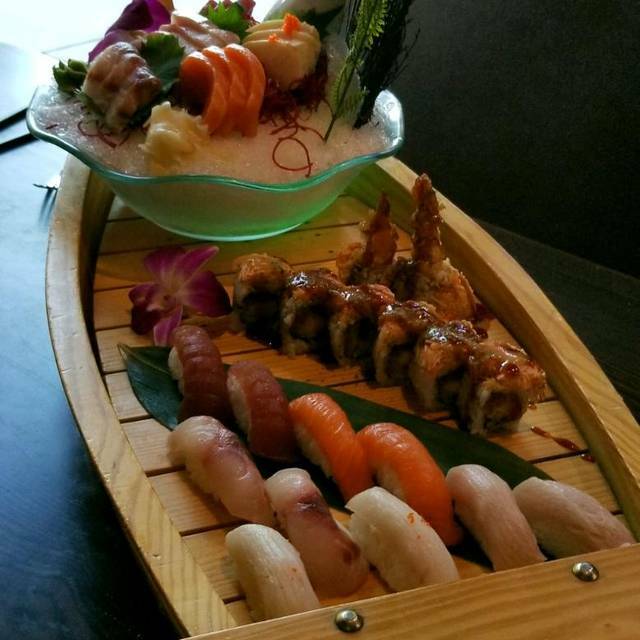 The food was fantastic if you like Japanese (My wife and I booked a reservation for Valentine's Day and we had sushi and hibachi.). Our server was great as well. We can't wait to go back. I didn't like the cheesecake. It tasted stale. Maybe the lava cake is better. We'll see. I give it 5 stars though. We had great sushi and a wonderful dinner at Level. We’ll be back! The food was good but super slow. Our reservation was for 6pm and we had to beg them to hurry our orders so we could leave by 7:30pm to catch a show. They are a small restaurant and our table of 8 was a strain on their staff. Great Date night spot with good food and drinks. Service was great as well. Cheerful service and beautifully plated sushi (lots of other Asian dishes for the non-sushi folk) -- what a great find in Richmond. And free parking on the right side of the building makes it even better to go to Level. What a great menu and friendly service! The atmosphere is ok, so when the food arrived artistically plated, it was a unexpected surprise. Yummy (and beautiful) sushi. So excited to dine here again and soon. We visited as a family of 4 (kids 16&18) and had a delicious meal. It was noisy that night, as the place was being used for a party, but this didn't detract from a really nice evening. The manager was apologetic about the noise. The server was efficient and in the Goldilocks zone for attentiveness. Drinks were understandably a bit slow to arrive. We had a nice boat of sushi and sashimi. The salad with orange dressing really stood out - simple crisp and flavorful. We try to go to Level at least once every time we're in Richmond. The people, prices, and creative sushi, sashimi, rolls, and more are well worth it! Disappointed in the quality of the sushi and the service wasn't great. Hire more waitresses! Food was great. Only one waitress who was also the bartender, but she did a great job considering she was the only there!